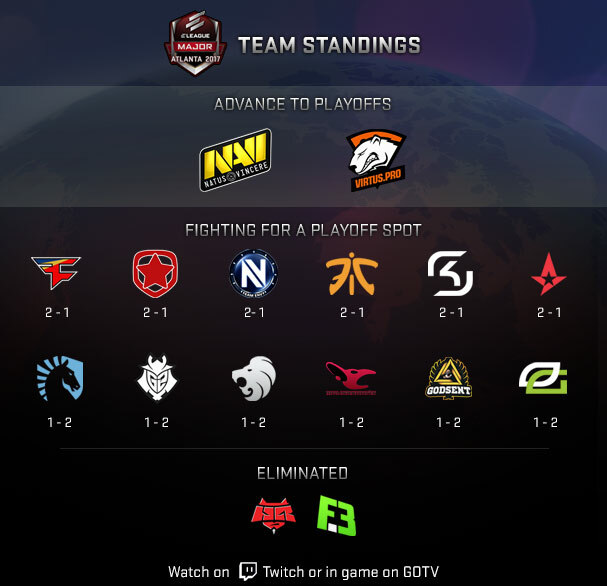 As day three comes to an end, two teams have secured their spots in the playoffs. Navi and Virtus.Pro advance to the next stage unbeaten. Tune in for day four as the remaining twelve teams fight for their chance to make it to the playoffs. Watch the action unfold on GOTV or on Twitch. Day four gets underway at 10am EST (4:00 PM CEST).